The only variant of the government that is now on the table is, according to the Prime Minister in the resignation of Andrei Babiš, the Cabinet ANO and the CSSD with the support of the Communists. Babis said after talks with the top of CSSD and ODS. Civic Democrats, he says, have refused to cooperate. 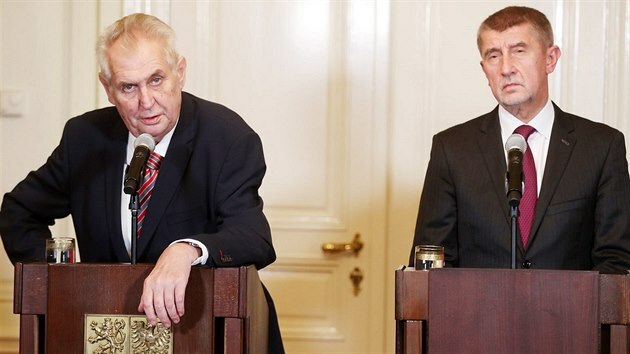 President Milos Zeman expects Babiš to form a new government at the latest by the holidays. If that did not happen, he would not have been so forgiving. After the talks with Zeman, Communist President Vojtech Filip said this. “If I understood the president correctly, he thinks the government should have reigned since the holidays,” he said after a meeting with Zeman. Babis considers the President’s request as reasonable and understands it. “I want the government surely sooner,” he said after talks with the CSSD and ODS. ODS Chairman Petr Fiala, with whom Babiš debated about foreign policy, once again rejected the government with ANO and the minority cabinet’s tolerance. Babiš, however, welcomed Fial’s call for the House to be more informed about the state of negotiations on Dublin IV or Brexitis. “I am glad because we should try to speak abroad united,” he said, adding that he would hold a meeting on European issues, where he would invite the chairmen of all parties. The Communists and the SPD have so far been the only parties with whom ANO has been dealing with the government. After the CSSD’s Sunday congress, however, the ODS and the Social Democrats met in the center of the movement. The CSSD attended the meeting with Hamáček and the deputy chairman of the party Jiří Zimola. According to Hamak, talk was mainly about the program. “We have identified nine circuits that we are ready to act for,” he said. Social Democrats advocate, for example, the reimbursement of the first three days of sick or progressive taxation. The next meeting of both parties is scheduled for next week. According to Zimola, specific programming points should be addressed.